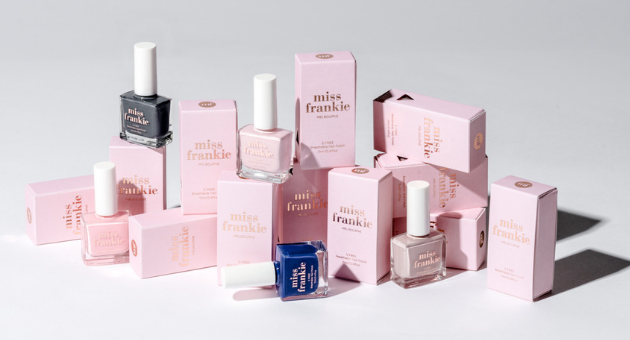 In the quirky and cute-as-can-be world of nail polish, there’s a new kid on the block – her name is Miss Frankie, and she’s about to change the game. 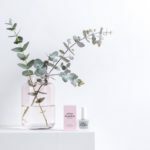 We chatted to former-nail salon owner, mum and Miss Frankie founder, Kara, about the ups, downs and learning curves of business ownership, the work/life balance and how to find colour in anything. What was your inspiration to start your own business? For 11 years, I owned French Pink, a nail salon in Melbourne’s CBD. Working with nail polish every day, I knew the products well and noticed there was a gap in the market. When my lease was up, I decided it was time to take the leap and create Miss Frankie. When did you know the timing was right? 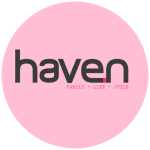 Once my children were older and not in the ‘baby’ phase, it was definitely the time for me to start my own brand. With my years of experience manicuring and listening to my customers, I knew how much demand there was for quality, no-nasties nail polish. How did you make your big break? I’m not sure whether I’ve made my ‘big break’ yet, but attending Life InStyle Melbourne 2018 was an amazing experience. I had the chance to meet other small-business owners and acquired new stockists. Adding worldwide shipping to our website has opened plenty of new doors, too. What was your training prior to starting your own business? My salon was obviously great training for understanding the nail polish side of things however I was an executive assistant for 10 years prior to that. To be honest that has helped me so much in understanding how the business world operates. 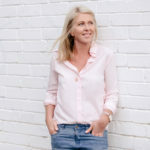 What are the biggest challenges of being a mum and a business women? Time. My day starts at 9.30am after drop-off then I am back at school for pick-up at 3.30pm. We then have after school activities, homework, dinner and the like. After I put the kids down, I end up back on my computer replying to emails or sometimes just packing orders I didn’t have time to get to during the day. What is your top tip for maintaining a work–life balance? I’m not sure I am there yet! I do love that I’m not leaving home at 8am and travelling into the city any more. I love that I work from home and get to be there for my kids in their younger years. As Miss Frankie grows I constantly have to reassess the balance and try to take a little time out for myself – sometimes that’s just going for a 30-minute walk on my own after dinner just to clear my head. What is your biggest lesson learned since starting your own business? Sometimes failures are OK. I have learned so much from when things have gone wrong, particularly from my nail salon business. I’ve got better at dealing with stress when things don’t work and trying to find the lesson to be learned rather than see the negatives. What do you do in your spare time to keep yourself sane? A regular catch-up with friends for a night out. By that I mean dinner and a few glasses of wine – not hitting the clubs! I also started a fun dance class with a group of friends, which is by far the best thing I’ve done for myself in years. What’s one thing other people should do who are looking to start their own business? Make sure you do your research. It’s so boring but you really need to know who your competitors are and how you’re going to be different while staying true to your brand. Write your own story, rather than following others.